Armourshield supply and install high quality industrial and commercial flooring across the UK. Our team’s knowledge and expertise – combined with the use of the best quality products and latest technology – ensures we’ll find the perfect solution for your flooring needs. We install quality flooring in locations such as factories, warehouses, airports, offices, shopping centres, food production areas, sporting facilities and garages. Our operatives have the experience and know-how to ensure that your floor is finished to the highest quality and will perform for many years to come. Our flooring solutions provide a durable, safe and attractive floor. Perfect for both commercial and industrial flooring, to help keep the surface clean, safe and durable. We offer market specific colour collections, tailor-made logos, line marking and textures that dignify great design. 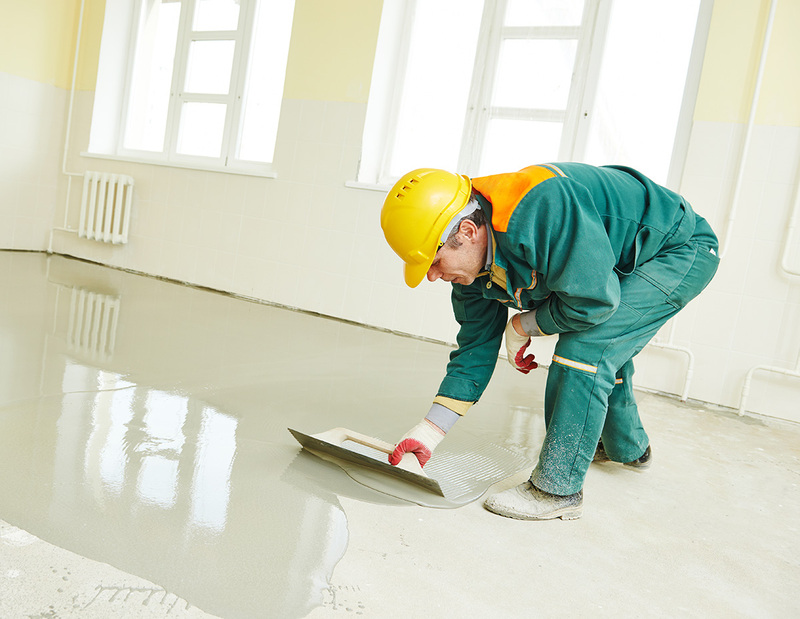 Concrete floors can be strong and long lasting. However, the surface or wear layer is usually the weakest part of the concrete. The near surface wear layer receives most of the wear and abuse that comes with an active facility. Concrete is porous and is capable of absorbing, oil, dirt, and washdown chemicals that penetrate deep into the natural recesses of the concrete. This contamination results in the premature destruction of the concrete and accelerated wear and chemical attack. The porous surface is hard to clean once it becomes contaminated. Slip and stain resistant epoxy and polyurethane floor coatings and overlay are designed specifically to deal with these environments and offer solutions that permit the business to continue to operate as a safe, clean and productive workplace. Call us on 07816 253797 and we’ll be delighted to discuss your requirements with you. Alternatively, send us an email at info@armourshieldflooring.co.uk and we’ll get back to you right away. For all our other contact details, please visit our Contact page. We install quality flooring in locations such as factories, warehouses, airports, offices, shopping centres, food production areas, sporting facilities and garages.